My favourite childhood cookie that you will love too! 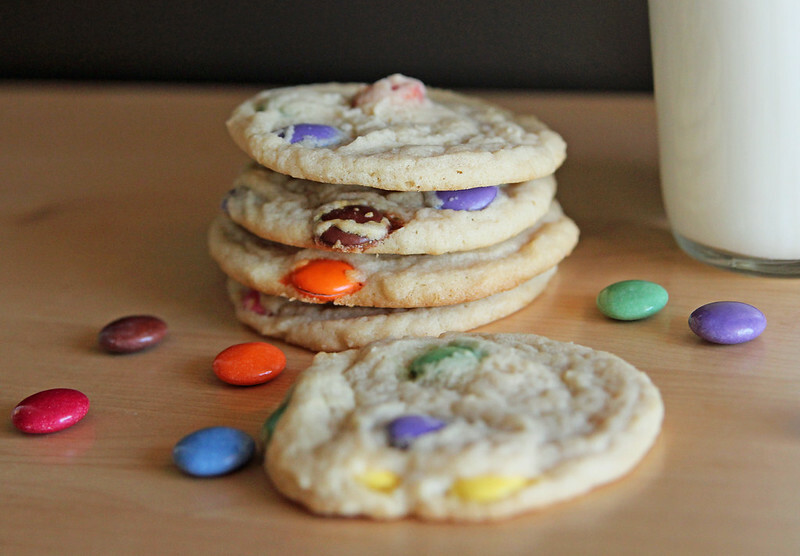 A simple, sugary cookie dough laced with candy coated milk chocolate candies --- Smarties! Cream margarine, brown and white sugars until fluffy. Add in vanilla and eggs and beat until very well incorporated. Stir in the baking soda, salt and flour until just combined. Stir in the Smarties lastly. You can do all the above in your stand mixer, except adding the Smarties. They will break if you stir them in with your mixer, do this by hand. Spoon with small cookie scoop or by heaping tablespoon onto greased or parchment-lined baking sheet and bake at 350ºF for 9-11 minutes, until just golden brown.